Office 365 is Microsoft’s modern suite of office applications. Coupled with OneDrive or SharePoint, you can run your Office applications and access your files from anywhere. Office 365 runs in the cloud and you use a browser to run your apps instead of installing them on your machine. But Office 365 doesn’t have to be solely cloud-based. It will run with all of your existing files locally and can also integrate with your on-prem Active Directory system and your Microsoft Exchange mail server setup. There are tons of new and exciting Office 365 features; let’s take a look. If you have your documents shared in one of the Microsoft document repositories such as OneDrive or SharePoint, you can now give others permission to view and edit your documents. You can use Word, PowerPoint or Excel to collaborate on the supported file formats for each application, all while tracking the revision history and you can comment on the changes if further explanation is needed. Instead of sending attachments and having to incorporate people’s changes and comments into your document, you can just link to a document that is stored in SharePoint Online or OneDrive. This saves space on the mail server, and it also gives everyone a platform to collaborate on the document over its lifespan. You can send a link to a document in Outlook by looking under the Attachments menu and selecting ‘Link’ instead of ‘File’. This will include a link to the document instead of attaching a copy of the file. Lastly, you can customize the image preview of the document and the text of the link before pressing send. When coupling this Excel feature with Bing Maps, you can plot up to a million rows of data onto a map. This new graphing tool, offered in Excel, can help provide insight as to how data changes in a graphical region over a specified period of time. You can also embed other types of media into the data range at specific points to help further explain the impact of the data. Using the Adobe Create PDF add-in, you can easily convert any Office document to a PDF and then store it in SharePoint Online, OneDrive, Adobe Document Cloud or download it to your local drive. A PDF, or Portable Document Format, is an easily distributed copy of the document that prevents anyone but the owner from changing the content. 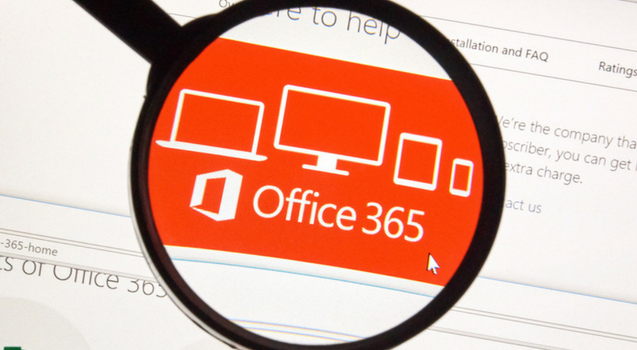 Office 365 introduces several new tools and full-blown applications. One of the most useful new applications is Planner. This is a great project management, task tracker, and communication tool. With Planner, you can create different buckets or projects and then add action items to them as needed. For example, you might want to create an issue backlog, development, testing and production bucket for developers working on a piece of software. You can then share it with others so that they can add new tasks or just be informed on the progress of tasks as they move through the process. Anyone who has permission can also make comments on the items and everyone will be able to see them. If the members of the plan book subscribe to the group, the comments will be emailed to them and they can respond directly to the email and their comments will be logged on the item. You can now use Skype to chat with co-workers directly from the app that you are working in. You can chat, share your screen and participate in audio and video calls with your collaborators. You can open up a conversation right from the app that you’re working in and even continue your conversation after you have closed down the application. These are just six of the new features offered within Office 365. There are a ton more features, and this post could go on for days. If you really want to learn about all the new features and master them, the best way to do so is to obtain professional training with ONLC. We offer instructor-led Microsoft classes and certifications via remote classroom instruction at our 300+ locations or from your own home or office. Contact us today to see how we can help you become an Office 365 master. Next PostMicrosoft System Center – What’s New?